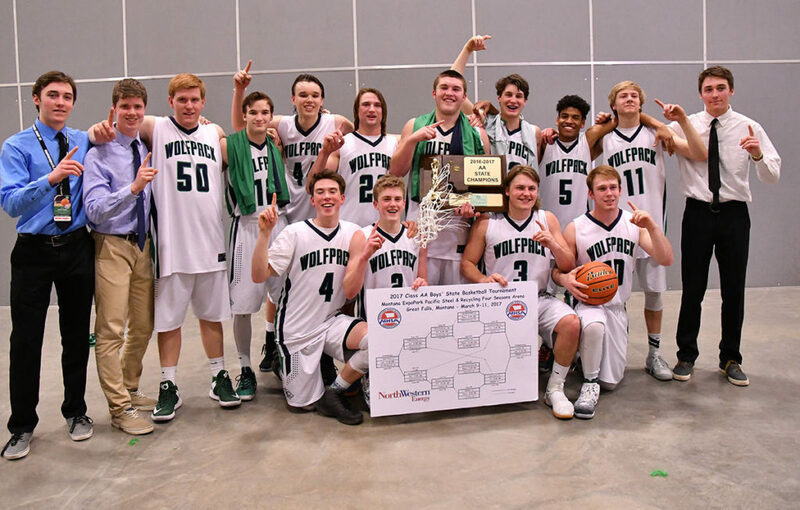 GREAT FALLS — The Glacier Wolfpack earned the school’s first boys basketball title on Saturday evening after defeating the Bozeman Hawks 46-42 at the Four Seasons Arena in Great Falls. 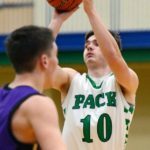 Patrick O’Connell led the Wolfpack in scoring with 11 points including the final two free throws with six seconds remaining to all but seal Glacier’s victory over the Hawks. 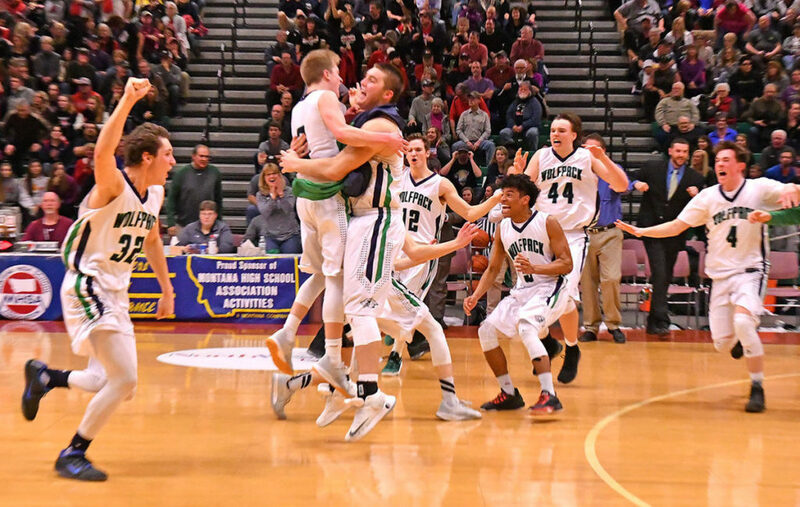 “Nothing but confidence in my head,” O’Connell said. “I had to knock those things down to get it done. 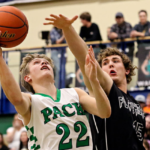 Glacier’s defense came to play. 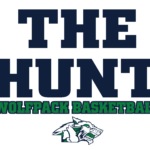 Tied 24-24 at half, the Wolfpack jumped to an 11-0 run in the first six minutes of the third quarter, holding the Hawks scoreless until Drew Huse knocked down two free throws with under two minutes left in the third. Bozeman slowly crept back into the game, going on a 10-4 run to start the fourth quarter. 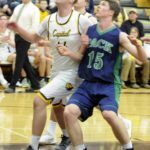 The Hawks got as close as one after Glacier’s Jaxen Hashley was given a technical foul after getting his fifth foul on a charge and Bailey Harlin made two free throws. 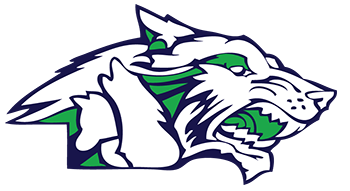 Tadan Gilman answered with a score for Glacier, followed up by a basket from Callahan O’Reilly, making it a 41-40 Glacier lead with 2:38 left in the game. Bozeman had plenty of good looks down the stretch, but couldn’t knock down any of the 3-pointers they were taking. 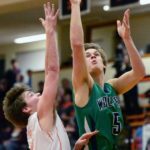 Caden Harkins made two free throws, while Gilman added one followed by O’Connell’s to pad the Wolfpack lead late. 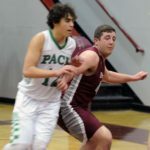 Hashley finished with eight points, six rebounds, and four assists while Gilman and Brec Rademacher each scored six. This is the second year in a row that the Hawks have been the state runner up. Lance McCutcheon led all scorers with 19 points for the Hawks while also grabbing 10 rebounds.